A women in her lifetime.. creates, nurtures and transforms! Women’s Day celebrations have never been so exciting. 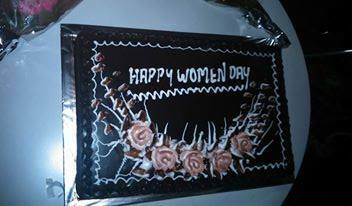 Celebrations started a day before March 8 at my office. Most of the ladies were clad in a sari as we decided on the same theme. 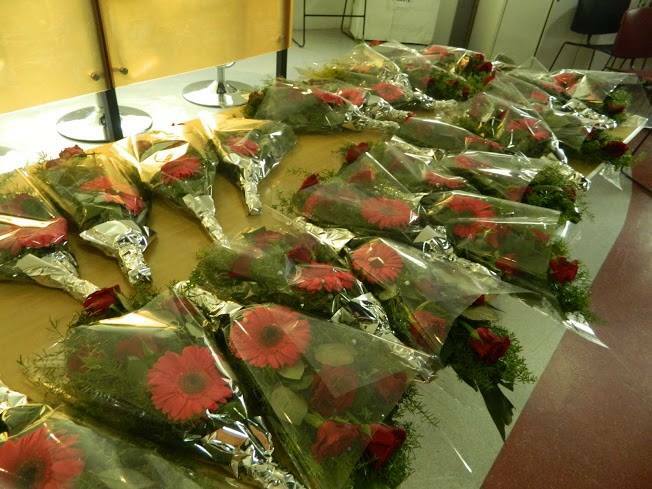 A warm welcome with a bouquet of flowers made each women feel special. The event kicked off with some motivational videos including one by Kiran Bedi [Video] followed by a presentation which covered some of the common problems faced by women. None of the females was afraid to do a ramp walk midst all sisters (so, this time we did not invite men for the show 😛 ). Just to add to it, the yummy chocolate truffle cake which was exclusively for us made my day! Ahmmm, so the celebrations end officially but I had more to do. Post lunch, I attended a talk show by ‘Lila Poonawala‘ at ‘Hotel Courtyard by Marriott’, Pune. She became the first woman CEO in India’s business history. She has not only conquered corporate India but has helped thousands of women shape their careers whilst balancing her other commitments. I walked up to the venue to meet this inspirational woman. I liked her words.. Women need to keep pushing/breaking the glass ceiling. You need to push the door.. Push yourself out before you push others. If the floor is sticky, better leave the shoes and run! One of the feedback/discussions about the talk mentioned “Enthusiasm” which means “the God (entheo) inside (iasm)” in Greek language. And Lila believes in Leading Indian Ladies Ahead(LILA). The evening comes to an end with some more networking over coffee! 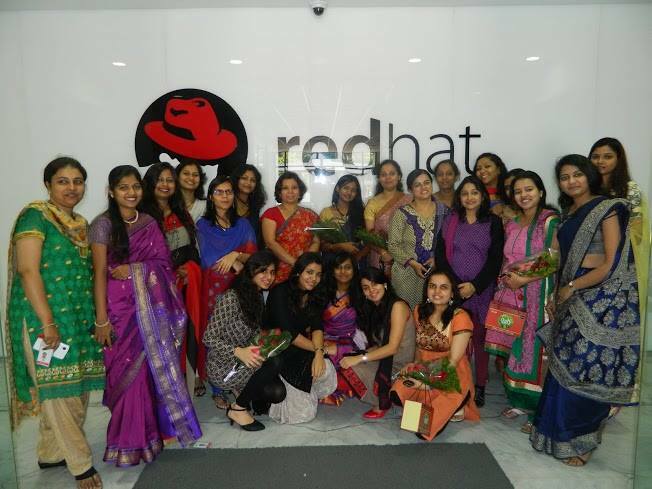 The next day is International Women’s Day where I be a part of Women’s Day Ideathon happening at ThoughtWorks, Pune. As usual, registrations went smooth although I was late at the venue. Anyway, I did not miss out on the badges exclusively for Women. The day was scheduled with talks by Gayatri Buragohain, Sameera Khan and Shilpa Phadke followed by Ideathon. Women’s Day could not have been better than meeting female activists and having round table discussions about issues faced by women today. When you think to fight the issues faced by women today, why is it you think the online way and offline looks obsolete. Online apps and web portals are the simplest barriers, why don’t you start right from your neighborhood and start building a strong women community. Why don’t we see sisters in arms? Why is brotherhood visible and not sisterhood? I would say, never give up on something just because you are a WOMEN, fight the way Madhuri Dixit aka Rajjo does it 😉 .And, watching Gulab Gang at the end of the day just made me happier on a happy Women’s Day. On Women’s Day, I could hear from a lot of men “Why isn’t there a men’s day?”. Just as a piece of information to all men and women, I want to share that International Men’s Day exists and is celebrated on November 19 each year. Above all, be the heroine of your life and not the victim. Nicely written very well crafted. Very well presented Anisha ! It reflects the true spark within and enlightment you can spread to the world !